Vodka can be infused with all manner of delicious herbs, spices, and fruits. 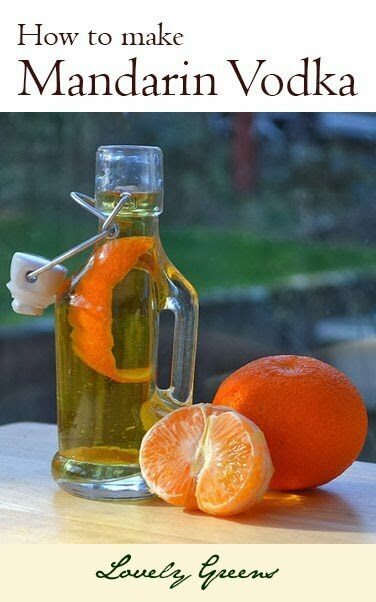 One of the best infusions is with citrus peel though — it’s easy to do and is a delicious treat for yourself or to give as gifts. 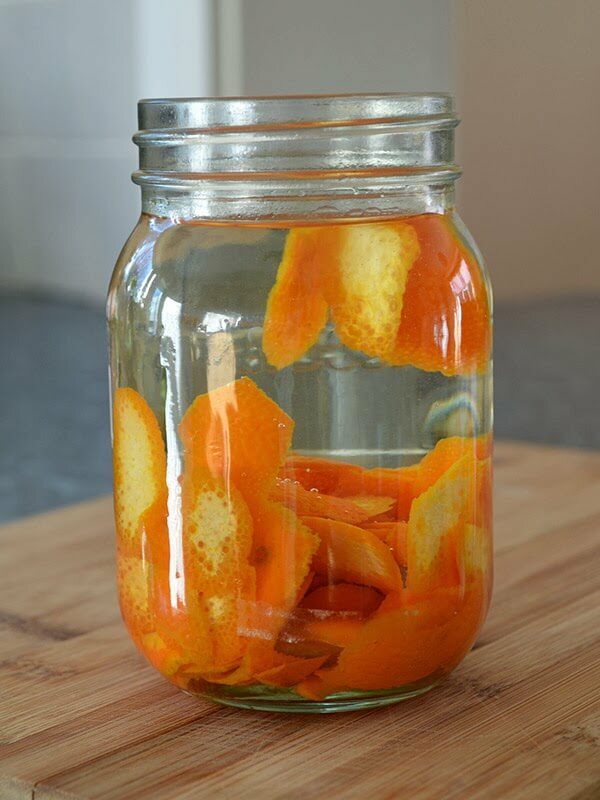 The hardest part of this recipe is allowing the mandarin peels to infuse in the vodka for as long as possible. 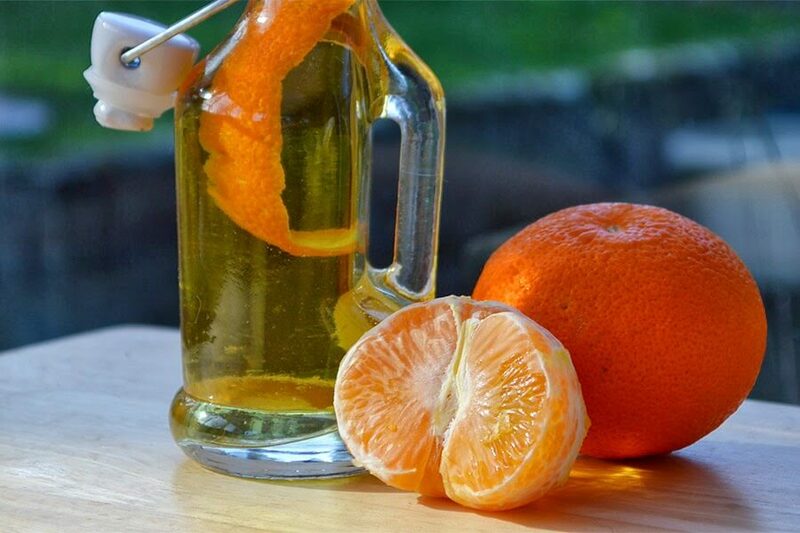 As soon as it takes on that gorgeous orange aroma you won’t be able to wait to try it! The infused vodka won’t be sweet after you make the initial infusion. 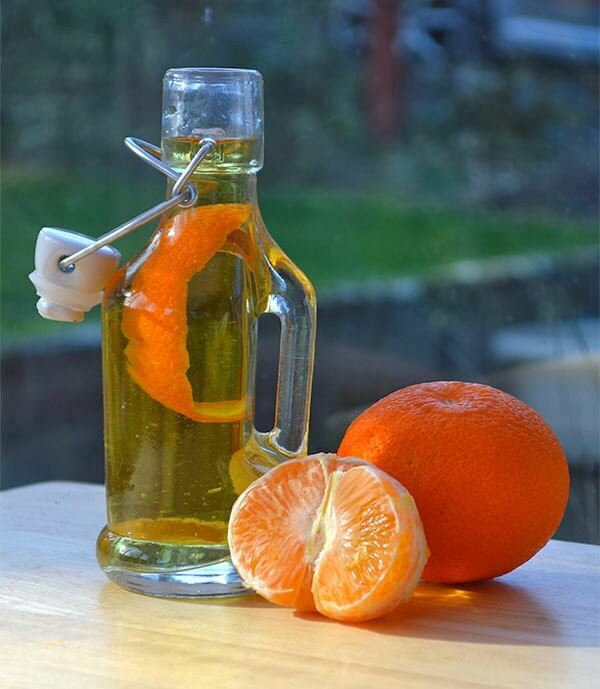 To make it into a sweet orange liqueur, follow the directions for making ‘Mandacello’ further down on this page. Using a potato peeler, peel the coloured bit of the mandarin peels off trying to avoid as much of the bitter white pith as possible. Combine the peels with the vodka in the jar and place it in a dark cupboard for at least a couple of weeks but longer if possible. A couple of months might be best. Shaking the jar once a day will help disperse the flavour from the peel into the liquor. The clear vodka will eventually take on a golden orange hue. Taste the vodka from time to time to judge the flavour but remember that there’s no sugar in it so it won’t taste like the flavoured vodkas at the shop yet. Strain the vodka through linen, a coffee filter, or even a bit of kitchen paper and into a clean glass bottle. Add another strip of mandarin peel for decoration and enjoy at your leisure. It’s so pretty that I’d even consider making this and giving it away as presents. 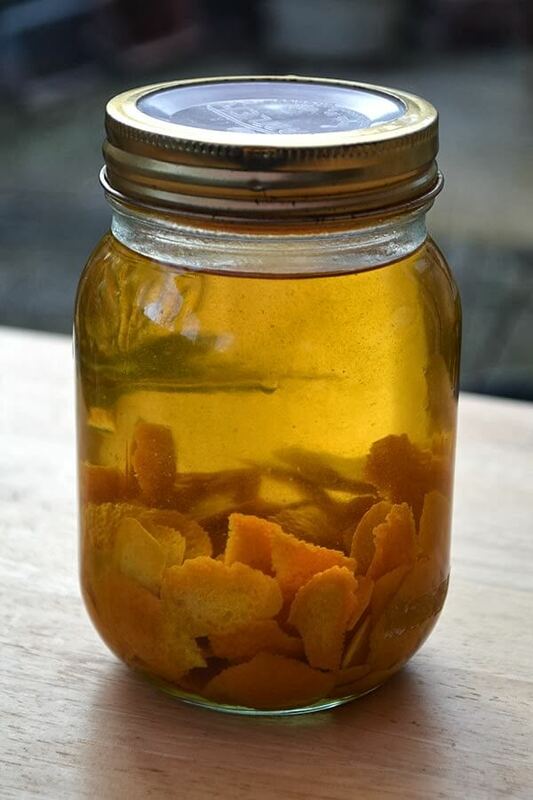 This mandarin vodka can be kept on its own and used in mixed drinks or as a homemade citrus extract for desserts and recipes. Mix it up with equal portions of simple sugar syrup and you have a mandarin version of Limoncello. It’s best to refrigerate (or freeze) your Mandacello but stored in a cool, dark place it will keep a long time due to the alcohol content. I’ve found other recipes that say that it will last for up to a year but doubt any would be left in my house long enough to test the theory! 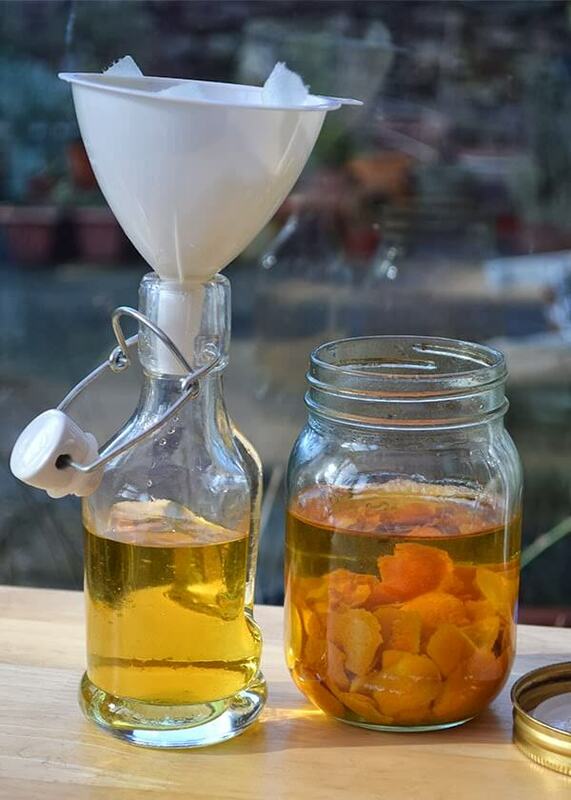 Using the infusion method detailed above, make your mandarin infused vodka and measure. Make the simple sugar syrup: Combine the hot water and sugar and stir until the sugar has completely dissolved. Allow to cool to room temperature. Add the vodka to the cooled sugar syrup and pour the mixture into a clean bottle. Allow the flavours to meld together for a week before serving. Looks lovely, I have some vodka that’s been lying around for months. Think I’ll give this a try. The same basis as extracts. So I can make any flavor? I have done this with pears and strawberries. Going to try raspberries this year. Mandarin sounds wonderful but I don't grow those and I have been trying to keep it to home-grown stuff. I left mine in for 3 months and it's wonderful!! I don't drink alcohol but the picture at the top of your page makes me wish I did! Thanks – sounds simple enough, I may have to try it once my lemon trees start bearing. It sounds lovely & seems to be simple to make. I think I shall give it a try.